One Man's Lonely Adventures In His R33 Skyline GT-R: Uh-Oh... Is this Serious? As I hinted in my last post, when I picked up my car from Ninomiya-san after he had installed the rebuilt Öhlins DFVs, he had some disconcerting news: the NEW transfer case was LEAKING OIL! 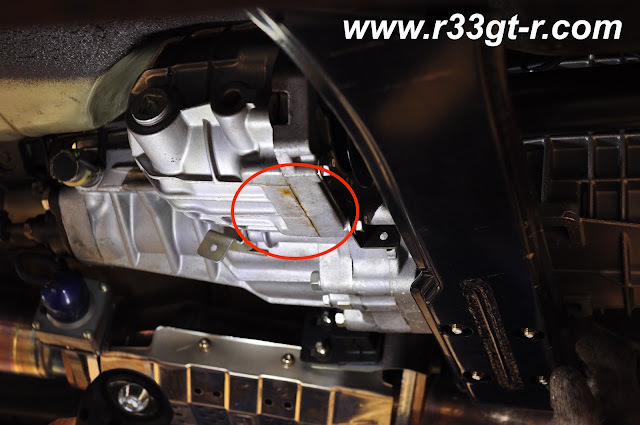 Since this is a brand new BNR34 transfer, part of the NISMO GETRAG Transmission Conversion Kit for the R32/R33 which I had had installed just last August, I was not happy to say the least, hoping that it would be just a matter of tightening a few bolts or sealing it up. 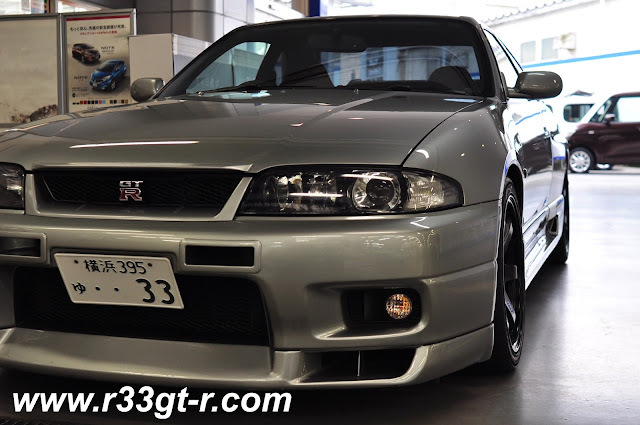 So I took the car back to Nissan Prince Tokyo Motorsports at the Nissan Prince dealership in Sakura-Shinmachi, about a 30 minute drive from my house. Otherwise, was really, REALLY clean underneath! Also, while they had the car up, I remembered that a few months back Dino had mentioned something about a slight shimmy in the steering wheel. Turns out he was right! Their initial diagnosis was either a bad tie rod bearing, or the bolts attaching the Do-Luck roll center adjuster needed to be tightened, but only on the left side. In any case, as I don't need my car this week, I decided to leave the car with them for a few days so they can discuss with NISMO what to do about that transfer case leak. Before watching the door come down, and saying goodbye. Are the parts covered by warranty?